How To Fix Data Execution Prevention Error In Windows ? 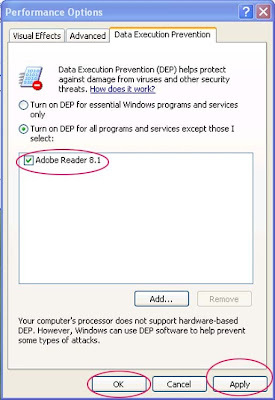 If you are a regular user of computer means, you might have faced this trouble “Data Execution Prevention Error” and “Windows Explorer” errors. Until you find the solution, it is too difficult to keep working on your system. This error, Data Execution Prevention or DEP happens to prevent the suspicious software at the hardware level and to make the system secured against virus attacks. You can easily fix the trouble and you have to know which application causes this trouble. You can identify the error on running some particular software; the error will contain the name of particular software. Therefore, you have to take the particular software to Data Execution Prevention Exception list. This is the list, which cannot be affected by these types of errors. 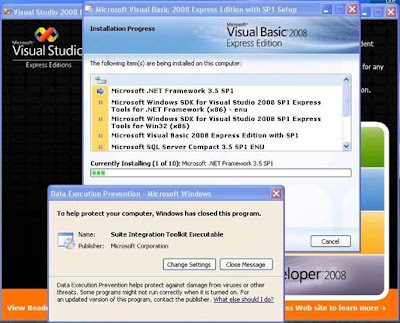 Before adding the software to the list, you have to ensure that, that software does not contain any virus. Follow the following steps to add the software to DEP list. •Go to the properties of My Computer by right clicking on it. 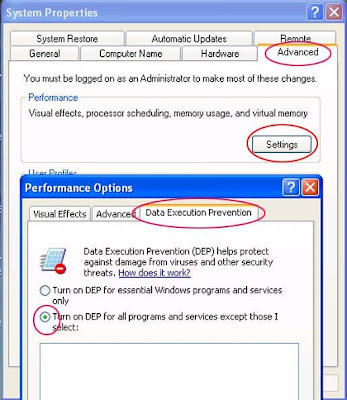 •Then go to the Advanced and choose the Data Execution Prevention tab from performance tab. •In the data execution tab you will find the enabled option “Turn on DEP for Essential windows Programs and Services only”. •Disable this option and enable the second option as given in the picture. •Click on Apply and on Ok.
My system doesn't tell me which program is causing the problem so this theory is flawed.